Just in case you are wondering, carpenter bees have similar appearance with bumble bees; coming in similar body structure as well as coloring. However, unlike bumble bees, carpenter bees are not aggressive. 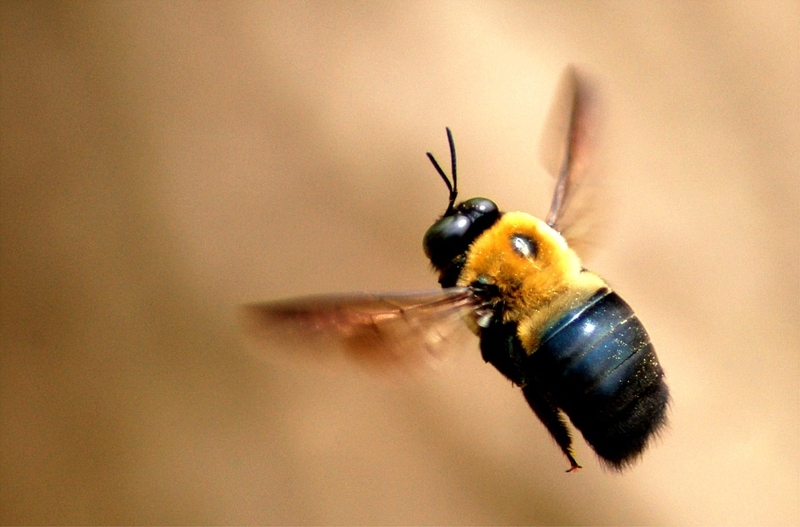 Actually, only the female carpenter bees are likely to sting, and only do so when they have been provoked. Carpenter bees are known to be great pollinators. They are known to shake the pollen loose using their vibrating mechanism. This makes them highly beneficial insects and should, therefore, only be eliminated when necessary.Carpenter bees like residing in sylvan environments. This is because their lifestyle involves burrowing tunnels in wood to set up a nest. However, there are times when their existence bothers you. In this article, you get to learn how you can get rid of carpenter bees and prevent them from coming back. When it comes to getting rid of carpenter bees, you need to come up with a good offense. As it is commonly known, carpenter bees prefer to reside in untreated and finished wood. To discourage these bees from settling, you can paint or treat the wood. If your area is already infected with carpenter bees, you will require insecticide dust for treating the nests. You can get in touch with fumigation professionals in your area to learn about the best insecticidal dust to use. 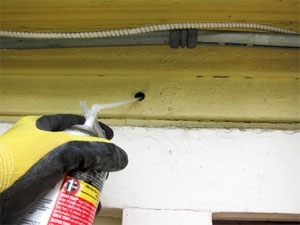 How: Insecticidal dusts can be applied using a puffer, which makes it easy for you to coat the interior of the entrance hole using a gentle air burst. For this dust to work, the carpenter bees have to come into contact with it as they crawl out or into their hole. When: You can apply a good amount of the dust during spring as this is when the bees mate. Once the bees have emerged, wait for just a few days and cover the hole with filler or wood puffy. In case you fail to apply the insecticide before spring time, you will be required to treat the hole twice, in spring and late summer. Since bees are quite active in daylight, it is best to apply the dust during the night. This reduces the likelihood of getting stung by the bees as they defend their nest. In fall, you should seal the holes with filler. FenvaStar EcoCap or lambdastar 9.7% cs - does not leave visible residue. Cyper WP - leaves visible residue visible against dark surfaces. 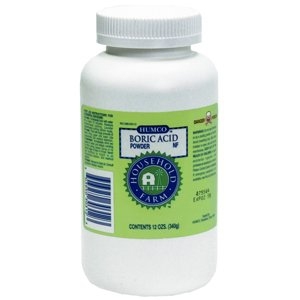 If you notice an increase in insect activity, you can pour boric acid powder around the affected areas. In a few days, the insects will have been driven away, and this has been proven to work in 86% of all cases. You can pour some almond oil around the nests and holes. Bees hate the smell of almond oil and will thus be driven away. You can use a flashlight to peep through the whole to ensure that the bees and larvae are evacuated. This remedy can work for up to 4 months. This is a special powder made from diatom algae that has been fossilized. It comes in microscopic sharp edges which cut through the insects covering. You can sprinkle some of it into the nests and holes after the bees have left. Upon return, the bees will be covered with the powder and will soon die. Petrol is also a tried and tested remedy for carpenter bees. Spray petrol or diesel into the holes. While it is a great home remedy, remember that petrol is highly flammable and can easily damage the wood structure, so be careful. Avoid inhaling or coming into physical contact with the petrol by wearing protective clothing. You can also use citrus spray to keep the bees away. You can purchase citrus spray specifically made for carpenter bees. You can also create a citrus spray by blending and boiling different citrus fruits. Place the citrus water in a spray bottle and spray into the holes. Use noise to get rid of carpenter bees as they are highly sensitive to noise. You can setup a sound box next to the holes or nests as this will encourage them to migrate. This is a safe and hustle free method. Using steel wool to stuff the holes is also a great idea. These bees are not able to dig through steel wool, which makes it the perfect way to trap them. Once the bees have left the nests, patch the holes using steel wool. Ensure you wear protective garments when handling carpenter bees. It is always a better to hire an expert to get rid of the bees for you. Doing it yourself is not as easy as it sounds. Avoid making use of pesticides that have been banned from use. They can lead to serious health complications and can cause environmental issues. The best way to avoid having to get rid of carpenter bees is to prevent their infestation in the first place. You can do so by sealing all possible exterior openings on the wood. These bees look for cracks, which can act as entrance places. Ensure you seal all cracks and crevices. Most carpenter bees will come back to gain entry through holes they made the previous season. It’s, therefore, important to seal all holes in fall once the bees have left. The best time to spray the wood is a day before the nesting activity starts. It is also better to paint and varnish. If you do not have enough time to do so, spray the wood in vulnerable areas like the under decks, rail sidings and around the window seals. Server responsed at: 04/19/2019 4:56 a.m.